Bethesda takes Fallout in a different direction, one which emphasizes exploration and some very dated gameplay. The world is still very engaging and interesting and makes use of characters, journals, and just about everything else to tell some solid stories. The best stories end up being the ones on the side as the main quest is probably the weakest part of this game. Still very worth experiencing. As a fan of the first two Fallout games, Fallout 3 was a massive, horrendous disappointment for me when it was first released. Ten years later, with the benefit of age and the wisdom that accompanies it, my appraisal of the game has mellowed considerably. Yes, Fallout 3 is a braindead, content starved game with truly terrible "comedy" writing and sleep-inducing gameplay, but at least it doesn't have paid mods, spyware, or an always-online restriction. 9 points for that. By itself, a pretty entertaining romp through post-apocalyptica. Mods make this game better, but if you want a greater stand-alone story experience and various improvements, it's best to go with it's sequel developed by Obsidian, Fallout: New Vegas. Fallout 3 is massive. No question about it. The problem with a world so large to explore is filling it with enough to keep coming back to it. 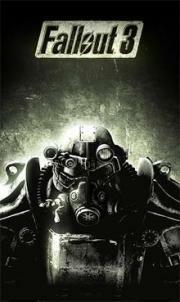 Which it lacks when compared to the previous Bethesda titles. Although the wonderful atmosphere and fully realized post apocalyptic landscape is more than enough to compensate. Better than 4.Some sequences in this are hard to match even today. Has a lot of shortcomings but ultimately a great experience. Awesome game ,searching nuclear wastelands for stuff to survive and kill things with is fun.